Targeted therapies, based on identification of common oncogenic mutations such as BRAF V600E/K and monoclonal antibody immunotherapies, have transformed the treatment of melanoma. Dual mitogen-activated protein kinase (MAPK) pathway inhibition of BRAF V600E/K and MEK 1/2 kinases with BRAF–MEK inhibitors using dabrafenib–trametinib, vemurafenib–cobimetinib and encorafenib–binimetinib is now the standard of care for BRAF V600E/K tumours. Monoclonal antibodies, such as pembrolizumab and nivolumab, against programmed cell death protein (PD-1) on T cells, as well as ipilimumab against cytotoxic T lymphocyte antigen-4 (CTLA-4), enable restoration of suppressed T-cell antitumour response, and have also shown improved clinical benefit compared with traditional chemotherapy. 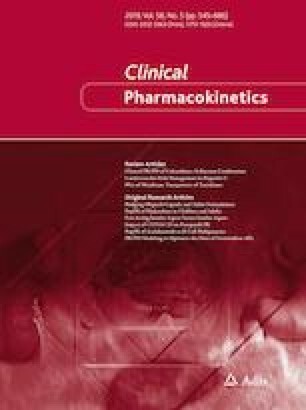 Exploration of different combination therapies, sequence of treatment, and dosing strategies is ongoing, and the understanding of the pharmacokinetics (PK) and pharmacodynamics (PD) of these new agents is fundamental in devising the optimal regimen. Preclinical and clinical studies, as well as population PK modelling, provide essential data in terms of PK parameters, metabolism, interpatient variability, drug interactions and PD effects at the target. This review gathers the current evidence and understanding of the clinical PK and PD of drugs used in the modern treatment of melanoma, and the factors determining drug disposition, exposure and clinical response, and also highlighting areas of further research. Hannah Yejin Kim, Parth J. Upadhyay, Alia Fahmy, Xiaoman Liu, Janna K. Duong, and Alan V. Boddy declare they have no conflicts of interest. No sources of funding were used for this review. ZELBORAF (vemurafenib) [prescribing information]. South San Francisco: Genentech, Inc.; 2011. https://www.accessdata.fda.gov/drugsatfda_docs/label/2017/202429s012lbl.pdf. Accessed Sept 2018. TAFINLAR (dabrafenib) [prescribing information]. Zebulon: GlaxoSmithKline; 2014. https://www.accessdata.fda.gov/drugsatfda_docs/label/2014/202806s002lbl.pdf. Accessed Sept 2018. BRAFTOVI (encorafenib) [prescribing information]. Boulder: Array BioPharma Inc.; 2018. https://www.accessdata.fda.gov/drugsatfda_docs/label/2018/210496lbl.pdf. Accessed Sept 2018. US Food and Drug Administration, Center for Drug Evaluation and Research. BRAFTOVI (encorafenib) multidisciplinary review. Application number 210496Orig1s000; 2017. https://www.accessdata.fda.gov/drugsatfda_docs/nda/2018/210496Orig1s000MultidisciplineR.pdf. Accessed Sept 2018. MEKINIST (trametinib) [prescribing information]. Zebulon: GlaxoSmithKline; 2013. https://www.accessdata.fda.gov/drugsatfda_docs/label/2014/204114s001lbl.pdf. Accessed Sept 2018. COTELLIC (cobimetinib) [prescribing information]. South San Francisco: Genentech, Inc.; 2015 (updated Jan 2018). https://www.gene.com/download/pdf/cotellic_prescribing.pdf. Accessed Oct 2018. MEKTOVI (binimetinib) [prescribing information]. Boulder: Array BioPharma Inc.; 2018. https://www.accessdata.fda.gov/drugsatfda_docs/label/2018/210498lbl.pdf. Accessed Sept 2018. MEKTOVI (changed to BALIMEK) [binimetinib]. Assessment Report. London: European Medicines Agency (EMA); 2017. https://www.ema.europa.eu/documents/withdrawal-report/withdrawal-assessment-report-balimek-binimetinib_en.pdf. Accessed Sept 2018. KEYTRUDA (pembrolizumab) [prescribing information]. Carlow: Merck Sharp & Dohme Corp.; 2014. https://www.merck.com/product/usa/pi_circulars/k/keytruda/keytruda_pi.pdf. Accessed Oct 2018. OPDIVO (nivolumab) [prescribing information]. Princeton: Bristol-Myers Squibb; 2014 (updated 2018). https://packageinserts.bms.com/pi/pi_opdivo.pdf. Accessed Oct 2018. OPDIVO (nivolumab) [product information]. European Public Assessment Report (EPAR). London: European Medicines Agency. 2015 (updated 2018). https://www.ema.europa.eu/documents/product-information/opdivo-epar-product-information_en.pdf. Accessed Oct 2018. YERVOY (ipilimumab) [product information]. European Public Assessment Report (EPAR). London: European Medicines Agency (EMA). 2011 (updated Oct 2018). https://www.ema.europa.eu/documents/product-information/yervoy-epar-product-information_en.pdf. Accessed Oct 2018. ClinicalTrials.gov, National Library of Medicine (US). A study of the safety and efficacy of pembrolizumab (MK-3475) in combination with trametinib and dabrafenib in participants with advanced melanoma (MK-3475-022/KEYNOTE-022) [ClinicalTrials.gov identifier: NCT02130466]. 29 Feb 2000. https://clinicaltrials.gov/ct2/show/NCT02130466. Accessed 9 Feb 2019. ClinicalTrials.gov, National Library of Medicine (US). A prospective randomized and phase 2 trial for metastatic melanoma using adoptive cell therapy with tumor infiltrating lymphocytes plus IL-2 either alone or following the administration of pembrolizumab [ClinicalTrials.gov identifier: NCT02621021]. https://clinicaltrials.gov/ct2/show/NCT02621021. Accessed 9 Feb 2019. ClinicalTrials.gov, National Library of Medicine (US). The ACTIVATE (Adoptive Cell Therapy InVigorated to Augment Tumor Eradication) Trial (ACTIVATE) [ClinicalTrials.gov identifer: NCT03158935]. 29 Feb 2000. https://clinicaltrials.gov/ct2/show/NCT03158935. Accessed 9 Feb 2019. ClinicalTrials.gov, National Library of Medicine (US). Combined therapy of nivolumab and adoptive T cell therapy in metastatic melanoma patients (Nivo-TIL) [ClinicalTrials.gov identifier: NCT03374839]. 29 Feb 2000. https://clinicaltrials.gov/ct2/show/NCT03374839. Accessed 9 Feb 2019.